When looking at engagement metrics after an event, one number consistently blows away the others. At a recent event in Hanoi, Vietnam, for example, around 10,000 interactions were produced, including comments, photo uploads, surveys taken, assets downloaded and connections. About 6,000 of these interactions were attendee-to-attendee and attendee-to-sponsor connections. The numbers confirm it: connecting and networking is crucial. If you’re looking for ways to boost connections, make sure you understand how to use a conference networking app. 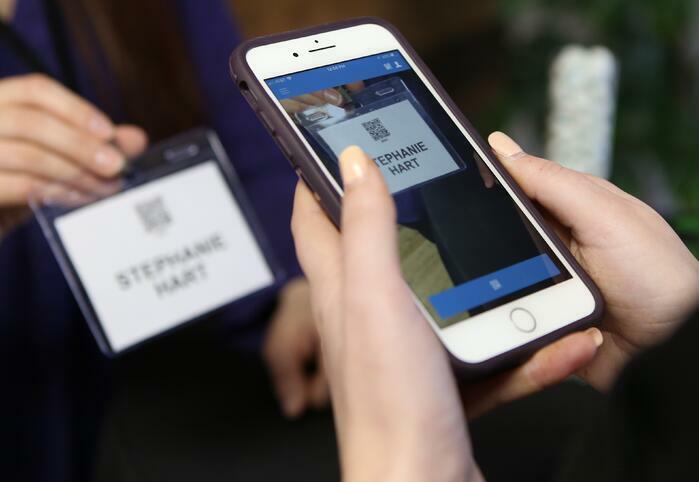 After meeting someone new, attendee QR codes make it easier for attendees to swap info. With your app, they can scan a code and instantly capture a person’s profile and contact information. After scanning, MeetingPlay apps save the profile to a “My Connections” section, keeping all of your new contacts organized in one central location. 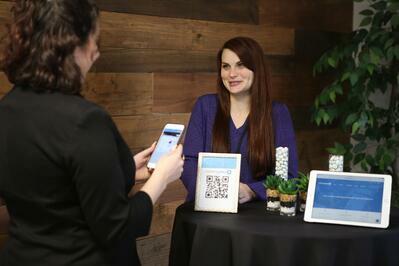 Attendees can use their app to keep the conversation going with in-app messaging. Attendees can message each other one-on-one, or set up a group chat to message multiple people. If they want to share something with the larger group, the app’s social feed can function as a space to start new discussions. 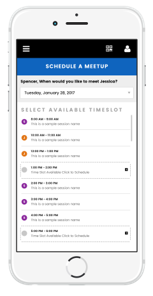 To schedule meetings, in-app appointment scheduling (available with MeetingPlay apps) allows attendees to build and manage their networking schedule right in the app. If you are looking to take your networking to the next-level, read more here about Attendee Matchmaking. At larger events, it can be difficult to meet and make a meaningful connection with a speaker. Your app’s audience response system helps bridge this gap. Audience polling lets speakers ask a question and get immediate feedback from attendees, and live questions enable attendees to send in their questions to the speaker (or moderator). With live polls and questions, audience-speaker interactions are more efficient for everyone involved, and can lead to more follow-ups after a speaker’s presentation. Sponsors want to generate new leads efficiently and effectively as possible. With a lead retrieval app, they can connect with a new lead, and then rate, take notes and organize the new contacts through the app. Sponsors can also use QR codes to make connections. Some planners incorporate sponsors into gamification efforts as an extra push to get attendees connecting with sponsors. There will be Information like dress code or WIFI info that you will want your attendees to have access to at all times. You can include this in a general information tab in the app. There will also be time sensitive information to share – like room changes or other updates – that you can send through push notifications. Push notifications are most effective when personalized and used sparingly. To personalize, segment attendees by groups or sessions. Nobody wants their phone buzzing with messages that aren’t relevant to them. For example, if a breakout session location has changed, you can tell only those who need to know, as people who aren’t attending that session won’t care. Or if one group of people stays at the event for an extra day, you can notify them, and not the people who’ve already left. Another way to utilize your conference networking app in order to connect with your attendees is to solicit their feedback during the event with a brief survey. Ask attendees to give feedback on a speaker or session with a quick three-question survey, or the opportunity to rate between one and five stars. There are lots of ways to use a mobile event app for connecting and communicating. Knowing your options with an event networking app comes first. From here, you can read more about advanced event engagement strategies that will work best for your event and provide the best possible networking environment.